Falls are so prevalent in seniors, and a bad fall can lead to death, disability and a reduced quality of life. According to the Centers for Disease Control and Prevention (CDC), more than a third of seniors over the age of 65 fall each year and sadly those that fall once are more than likely to fall again. Most fractures in seniors are caused by falls and hip fractures can lead to permanent disability or early death. Falls also are very expensive and medical expenses for fall injuries cost 34 billion dollars a year. Unfortunately, the rate of falls for seniors in care and rehab facilities is also very high. The Centers for Disease Control and Prevention (CDC) published in 2015 a compendium that was over 200 pages about successful interventions than can reduce or prevent falls in community dwelling seniors. Information was taken from published studies from all over the world for seniors over the age of 60 who lived in the community, but a few interventions also included some seniors who lived in nursing homes. The main emphasis in this compendium is that falls are not an inevitable part of aging, but in fact, many steps can be taken to prevent falls in seniors. Results of studies included in the compendium showed that seniors who attended special exercise or physical therapy sessions had a 23-54% less chance of falling depending on the intervention. Some of the identified risk factors for falling were problems with balance and gait, lower limb muscle weaknesses, slower reaction time, poor vision, painful foot conditions and side effects from drugs, especially psychotropic medicines. Some of the programs were for individuals and some were for groups. Some took place in clinics and care facilities and some took place in homes and local senior centers. The intervention programs were led by physical therapists, nurses or occupational therapists. Some of the interventions included motion exercises, Tai Chi, Aerobic exercises, stretching exercises, balancing and stability exercises, muscle tightening exercises, weight-bearing exercises, a music based rhythm and exercise program, a walking program, posture improving and more. Studies selected were from Australia, New Zealand, Germany, Hungary, Finland, Switzerland, Japan, the Netherlands, the United Kingdom and the United States. Detailed descriptions of these interventions are available in this compendium along with contact information for anyone interested in learning more about using these programs. how to get the exercise guides, the training manuals, etc. The compendium also includes results of medical and nutritional studies on falling. For instance, there was a three-year study in Boston, using Vitamin D and calcium which showed good results only for the women who participated in the study, who had a 46% less chance for falling. However, the men in the study showed no beneficial results. There were also other studies of Vitamin D that had successful outcomes and in fact the CDC recommends Vitamin D to prevent falls. Another study showed a very positive effect on community dwelling seniors whose doctors thought they might benefit from being withdrawn from psychotropic medicines such as hypnotic drugs, antidepressants or tranquilizers. This resulted in a 67% less chance of falling. There were also studies showing the results of cataract surgery, using different kinds of eye glasses, various medications for seniors with vision problems. For seniors with disabling foot pain there was a podiatry intervention where they had to wear special inserts in their shoes and do all kinds of foot and ankle strengthening exercises. Some of the programs also included reducing home hazards that could lead to falls and tripping at home. In this case a therapist visited the seniors in their homes and did a walk-through with them pointing out safety issues and in essence this was fall-proofing their homes. Seniors who participate in anti-fall programs and interventions have less of a chance of falling than those who do not participate. The success of the various programs showed a 23-67% less chance of falling depending on the program. 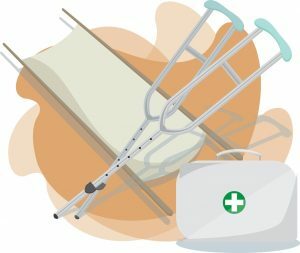 Since falls can result in disabilities or even death, it is to be hoped that more organizations dealing with seniors will incorporate some of these fall prevention treatments and interventions.